By this time of the school year we’ve figured out the basics of surviving college–but what about all those tips and tricks that make your life just a little easier? Peer Leaders provide their insights on the hacks they’ve discovered during their time at Ohio State. Feel free to comment with your own personal Ohio State hacks! Canvas has an app that makes it significantly easier to access your grades and class information from your phone? The app is just called “Canvas” and can be downloaded for free from the App Store. On a Canvas grade page, you can click on the check+ and see where your grade compares to the average, high and low scores for your class. Lots of times you can get cheaper textbooks by buying them directly from older students–ask around or check social media pages to buy used textbooks from older students. Tired of not finding a seat at Thompson? Check out another hidden gem on campus such as the Fine Arts Library or the Geology Library! Check out this link for the full list of library hours and locations. You can reserve a study room at the library–check out this link! Follow OUAB on Twitter or other social media to find out about events before all of the tickets are gone! Take advantage of D-Tix! (Did you know you can get Gateway Movie d-Tix at the Union for $3?)! Take advantage of FREE group fitness classes at the university recreation facilities (check out the full schedule here). Be sure to get there a few minutes early to make sure you get a spot! Venmo makes life easier for paying back friends/splitting costs. Don’t bike on the Oval. Lots of off campus parking meters are free on the weekends—check the meters if you have friends or family coming into town! Don’t jaywalk (especially on Woodruff) by Scott. The COTA bus now provides real time updates of when they’re coming on Google Maps and the COTA transit app. Always carry an umbrella…at Ohio State you should be prepared for all 4 seasons in one day! Get creative with the food in the dining halls to change things up. For example, you can build your own buffalo chicken wrap at Traditions at Scott (chicken from the breakfast station, buffalo sauce and lettuce from the grill station, and a tortilla from the Mexican station). Having a Brita pitcher for water in your residence hall room will save you lots of walks to the water fountain on your floor! Food apps (such as Hooked, Tapingo, PostMates, and UberEats) make getting food super easy and convenient! You can even use your meal plan with Tapingo! Fall break will be here in less than a week, and we can unwind and relax from the hectic semester this has been so far–it is much needed! While many students are going home for the first time to reconnect with family and friends, some of you might be staying on campus for break. This is a perfect time to explore the amazing city that surrounds us. Whether you are from out-of-state or outside of the U.S., here are some fun things to do during fall break in Columbus. From the time you first visited Ohio State (or maybe at orientation), you have heard incredible things about the city of Columbus. Get out the campus bubble and dive into the fun activities, amazing restaurants, and sights that are conveniently right down the street from us. With just a short ride on the COTA bus, you can discover some cool parts of Columbus. Not only will you have fun, but you’ll feel even more connected to the city, making Ohio State feel more like home. As a first-year student, I was pretty intimidated to take a bus downtown, but I can assure you that it is a really simple process and well worth your time. The easiest way for me to explore downtown Columbus and the Short North is to take COTA route #2, which runs up and down High Street–I promise you won’t get lost. A convenient place to hop on the bus is the stop outside of the Ohio Union. All you need is your BuckID and you are on your way! The COTA website includes routes frequently used by Ohio State students. 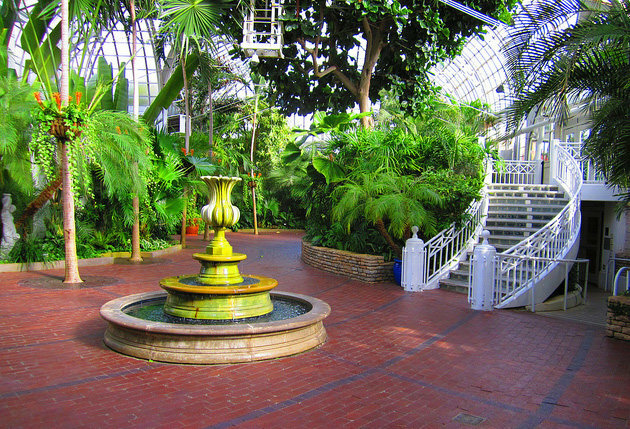 Franklin Park Conservatory and Botanical Garden. Special fall exhibit, “Scary Plants“, where you can explore creepy pumpkin carvings and strange plants like you’ve never seen before! Oct. 5- Nov. 15 | 10 a.m.-5 p.m. Cost is only $10 with a student ID. Goodale Park. 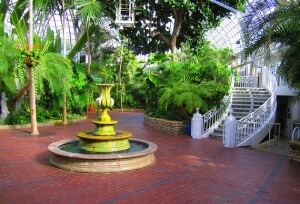 A beautiful park located in the Short North district, decorated with fountains, park benches, and paths. Olentangy Trails. Head outside to take a walk with a friend, a fitness run, or even a bike ride on this 13.75 mile stretch of paved trails. 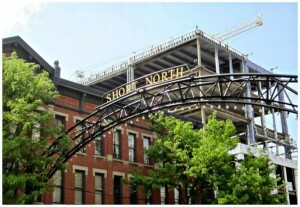 Explore the shops of the Short North District: Take the COTA bus #2 right down High Street until you get to the arches that say “Short North”. Here you will find many shops that specialize in clothing, stationery, Columbus gear, antiques, and even chocolate! North Market. A classic favorite! If you love food (who doesn’t?) then you will love North Market. Explore different vendors and flavors from around the world such as Asian, Indian, and Polish cuisine. They also have this awesome vendor where you can get fresh homemade donuts…seriously the best donut I have ever had. Open Sun-Mon, 10 a.m.-5 p.m.; Tue-Sat 9 a.m.-7 p.m. Explore their fall Farmer’s market in the parking lot of the venue. Stock up on some fresh vegetables and fruits and you could cook a meal or create a fresh salad in your residence hall kitchen. One Line Coffee. Are you a coffee fanatic? Cozy up to a cup of your favorite coffee and dessert on a cool fall day, located in the Short North district. Check out their website for more information! Jeni’s Ice Cream. We all scream for ice cream! Jeni’s ice cream made its founding roots in Columbus, and is now a huge sensation! A quick bus ride down High Street and you can try a delicious treat such as the crowd-favorite, Salty Caramel. Just have fun! The more time you put into getting to know Columbus, the more you will get out of it. If you have further questions or need more suggestions, contact a Peer Leader and we would love to share some of our favorite places. In addition you can check out Experience Columbus for an extensive list of places to go. I hope you have a wonderful fall break–be sure to take the time to refresh in order to finish the second part of the semester strong. Ohio State will look and feel a bit different when you return to campus in August. For years, the first day of autumn classes has always been Wednesday, but the autumn 2015 semester will begin on Tuesday, August 25 in order to accommodate a new calendar that now includes an autumn break (see below). Many Welcome Week events–like the Student Involvement Fair and the President’s Convocation–will still occur in the days before classes begin, but you will likely see other Welcome Week events moved to different days to accommodate the earlier start date. Check the Welcome Week website later this summer for an up-to-date listing of 2015 events and opportunities. Students and faculty will have two days off from classes–October 15-16–giving many the opportunity for a long weekend in the middle of the semester. In addition to starting classes one day earlier, the term will also extend one day later in order to accommodate this mid-semester break. Classes will end on Wednesday, December 7 and final exams will begin on Friday, December 9. The university’s academic calendar includes future autumn break dates through autumn 2019. Four new residence halls on North Campus–Scott House, Torres House, Bowen House, and Raney House–are expected to open this fall, accommodating nearly 1,800 additional students living on campus. Two new dining facilities will serve students on North Campus: Traditions at Scott and Curl Market. Additional facilities are expected to open by autumn 2016 in order to accommodate both first- and second-year students with the university’s new 2-year on-campus living requirement. Follow the progress and get updates at the what’s growing on? website. Beginning this summer, new plans offered through University Dining Services allow students to choose the option that best fits their lifestyle, eating habits and personal needs. Most plans include a combination of weekly traditional visits, $5 exchange (which allows students to exchange a traditional visit for a $5 purchase at any non-traditional dining location, or for a “Market Meal Exchange” at Ohio Union Market, Marketplace and Curl Market), Dining Dollars (similar to BuckID cash, but used only in dining facilities at a 10% discount; rolls over until graduation), and Buck ID cash. Ohio State is partnering with Zagster to bring a bike-sharing system to the Columbus campus, enabling students to navigate campus and surrounding neighborhoods via a one hour checkout on weekdays and three hours on weekends. 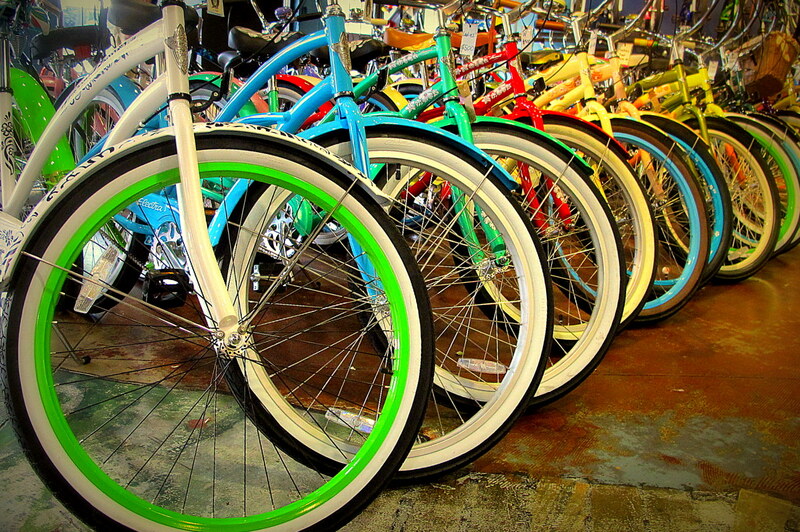 This initiative fulfills a request by Undergraduate Student Government to have a bike-sharing program in place by fall. Zagster currently operates programs at Yale University, Princeton University, Santa Clara University and California State University, East Bay. We are excited about these great changes taking place, and we hope you are, too–it’s a great time to be a Buckeye! Missing your mom’s cooking? Tired of always eating at Traditions? Try going to the Short North! COTA buses can take you there in minutes and it’s a fun, easy, and appetizing weekend activity. There are also awesome affordable options. Some cheap and casual choices include Mikey’s Late Night Slice and Melt Bar and Grilled. If you are a huge fan of grilled cheese, like me, Melt is the place to go. Late Night Slice — which is somewhat of a dive — offers cheap, delicious, and quick pizza. If you’re willing to spend a little extra money for delicious dinning Northstar Cafe and North Market are fantastic prospects. North Star, a spunky organic restaurant, has great brunch and offers vegetarian options. 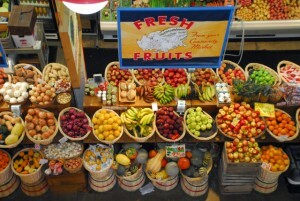 North Market, my favorite, is like a food festival! Individual cafes, butchers, grocers, ice-creameries, and bakers are set up in a retro warehouse. Although it can be a bit pricy, there are so many yummy options. Some include crepes, Thai food, Indian, German styled sandwiches, etc. If you go to North Market, be sure to factor in money to park if you don’t take the bus. If you’re craving authentic food, a few selections include Marcella’s, Haiku Poetic Food and Art and La Fogata Grill. La Fogata delivers mouthwatering Mexican food — the restaurant offers fajitas, tacos, enchiladas, and other authentic cuisine. Marcella’s, an Italian restaurant, has great high-end pizza and pasta. Haiku Poetic Food and Art offers Asian Pacific style food, like appetizing sushi, noodles, salads, and more. Poets, musicians, and artists come in to perform as part of a fine dining experience — the atmosphere is amazing! If you’re looking for desert options or if you love coffee, there are a number of selections in the Short North. Some include famous, locally owned Jeni’s Splendid Ice Creams, Le Chocoholique, Tasi Café, and ZenCha Tea Salon. If you have not already tasted some of Jeni’s ice cream, it’s a fantastic place to bring your family if they are visiting. Le Chocoholique has fondues, coffees and gelato. They also have delicious crème brûlée. Tasi Café has enjoyable coffee in addition to freshly baked breads, and they also offer breakfast, lunch, and dinner options. Finally ZenCha Tea Salon is a fun place to drink lots of tea or experience the ambient atmosphere. 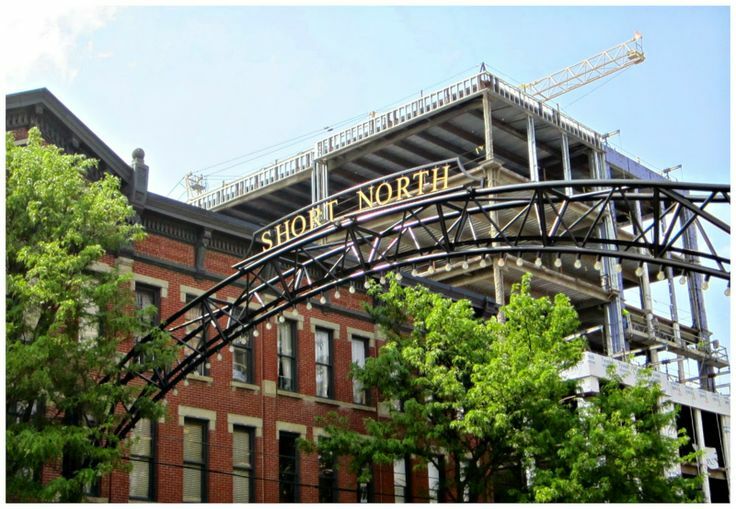 If you’re looking for something fun, want to experience delicious foods, or want to adventure through Columbus, check out the Short North! !